Take A Friend To The Orchestra, or TAFTO, is an annual event at Adaptistration every April where more than a dozen critics, bloggers, musicians, classical music enthusiasts, and administrators writing about how average patrons throughout the country can invite friends who don’t regularly participate in live music events to a performance in your area. 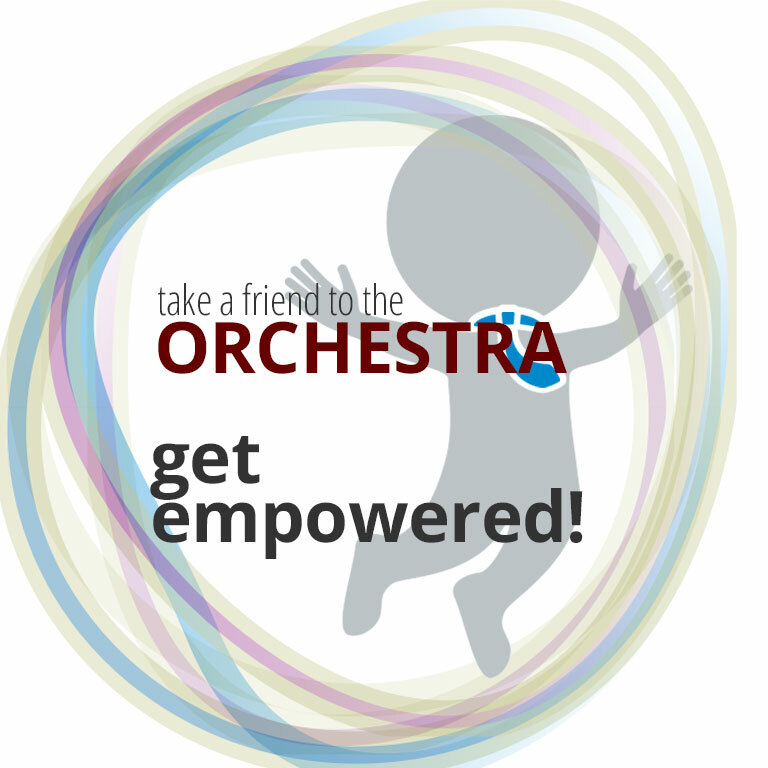 Essentially, TAFTO is an opportunity for the people who care the most about classical music to participate in a proactive way; and no, you’re not simply going to get hit up to write a check or make a donation to your local orchestra. If this business ever hopes to reverse the trend in declining ticket sales and lack of participation throughout their communities, they are going to need the help of the people who already care about classical music. In order to begin making a difference, each patron inclined to participate should have as much help from those involved with the inside of this business as possible, but on your terms. The more patrons who participate across the country each April, the more likely the program will develop and evolve into something uniquely capable of contributing a constructive influence in the development of tomorrow’s classical music culture. As such, enabling patrons to become contributing partners who have a distinct voice in the future of their orchestras is a necessary step in the process of recovery. You’ll also have the opportunity to contribute an account of your own experiences participating in the program as well submitting questions for some of our expert contributors. Start off by reading the contributions submitted by our experts over the years. Next, you need to find a concert you would like to invite your friends to attend with you. Don’t be unsure of yourself, there is no “right” or “wrong” way to invite someone to a concert. The idea is to make the experience whatever you want it to be. Invite one person or a whole group of friends to go along with you – be the center of attention!